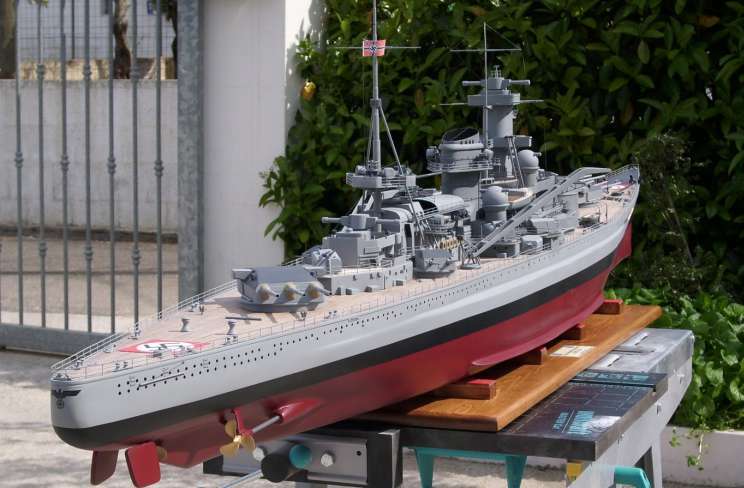 1/100 scale model of Scharnhorst built by Marco Matulli. 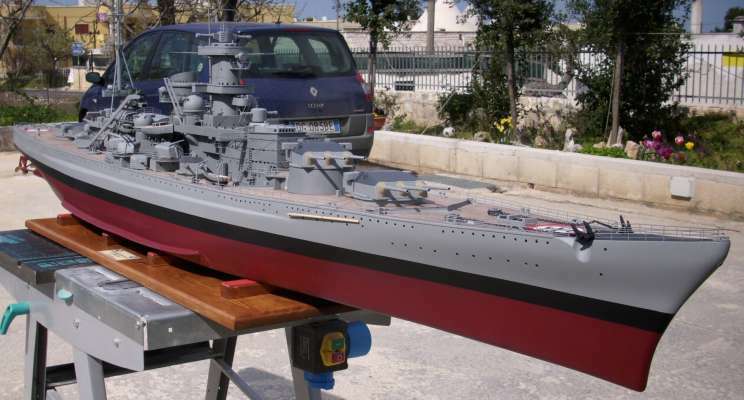 The model is 238 cm (7') long, the hull is made of wood covered with polyester resin and sanding primer. All the guns and the float plane is scratch built. The teak deck is made with different plank glued on the plywood deck. 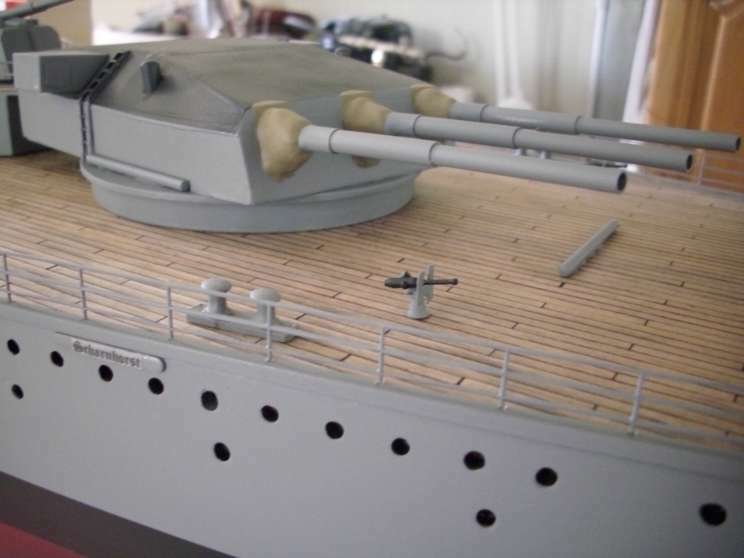 The model shows the Scharnhorst during Juno Operation in 1942. 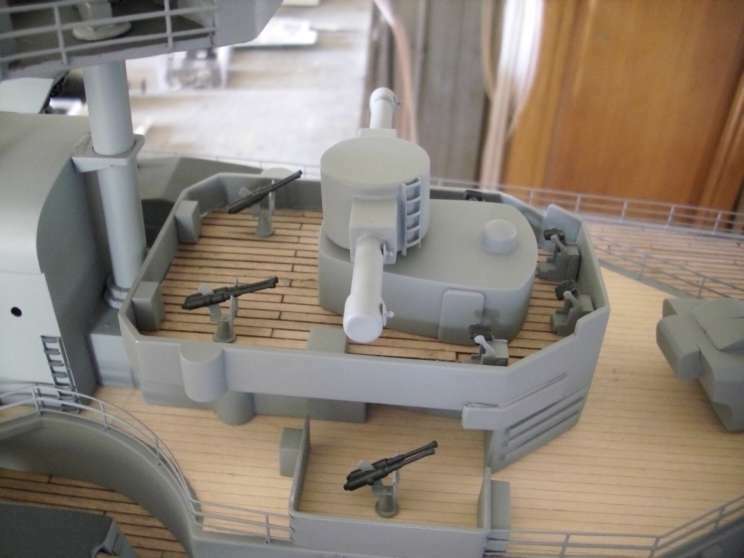 Close-up of the after turret. 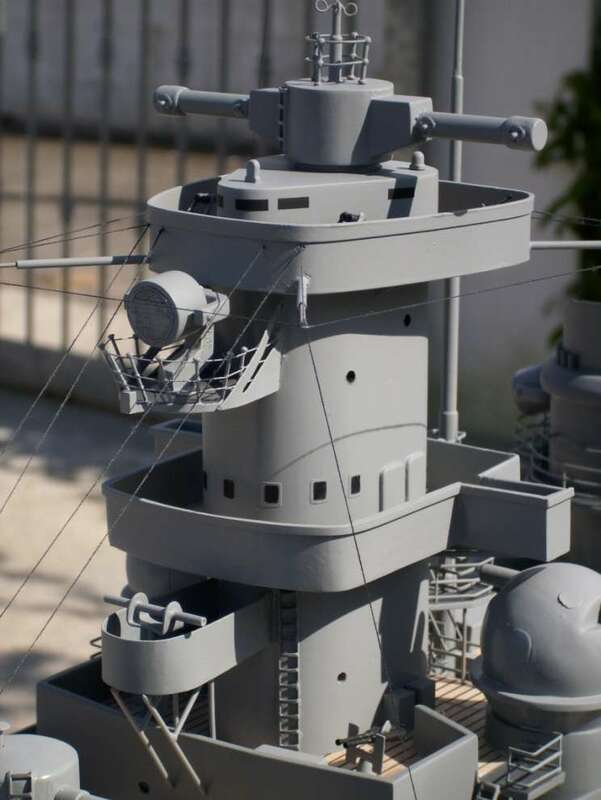 Close-up of the forward range finder. 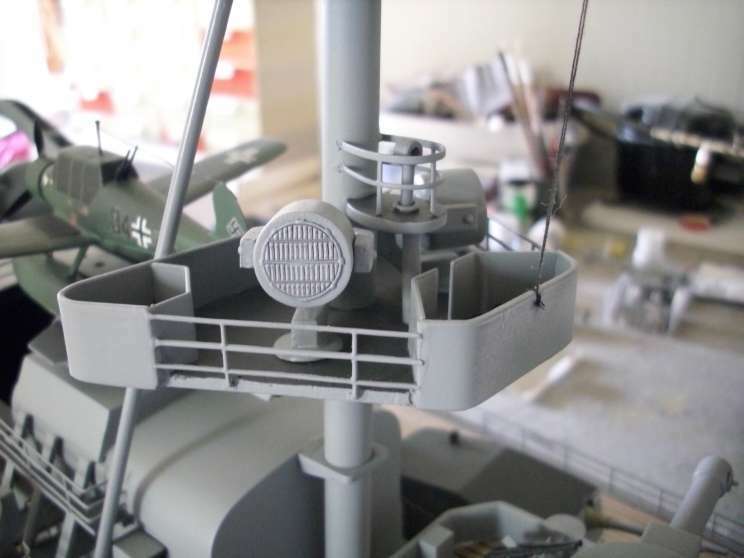 Close-up of the mizenmast and the float plane.